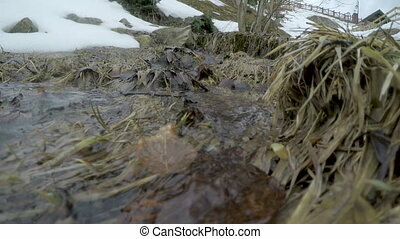 Clear water surface in brook in spring, autumn or winter. 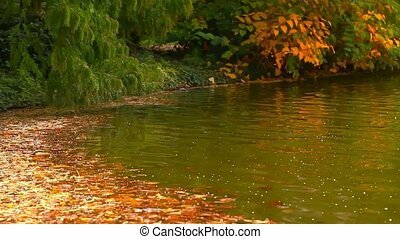 Clear water surface in spring, autumn or winter with old leaves on yellow and brown the bottom of the brook. 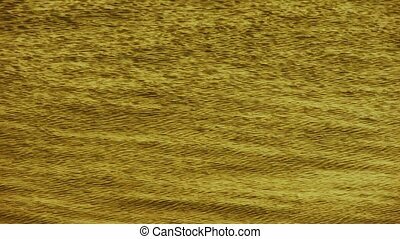 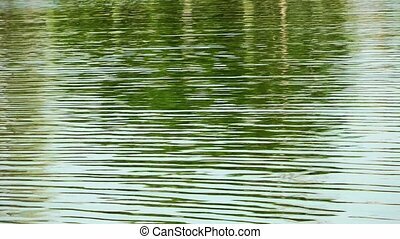 Water surface in evening dusk. 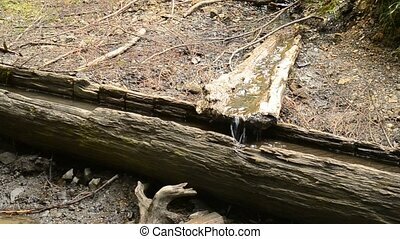 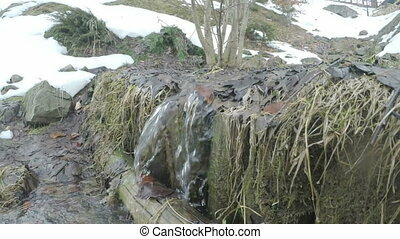 Small natural waterfall of a stream or brook with clear water in winter or spring with some ice and snow, old tree leaves and twigs. 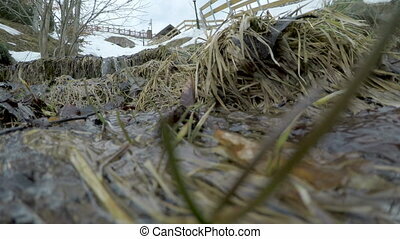 Thaw weather. 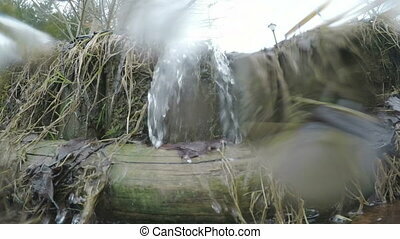 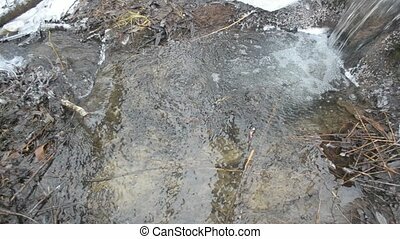 Water surface in brook with melting ice in spring with flow and wind producing wavelets. 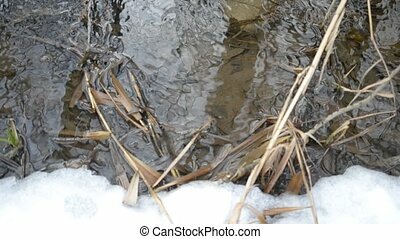 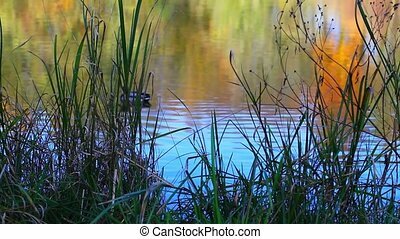 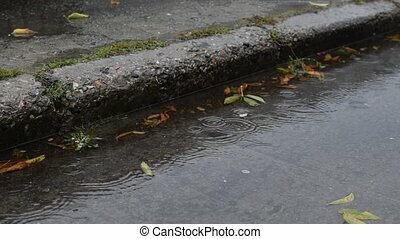 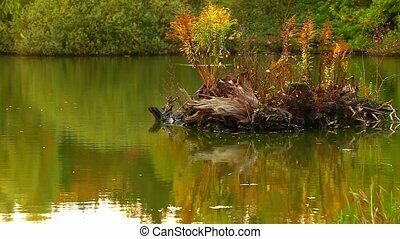 Water flows in brook or pond in forest with melting ice and snow and in spring and old leaves and twigs on the bottom and with green sprouts. 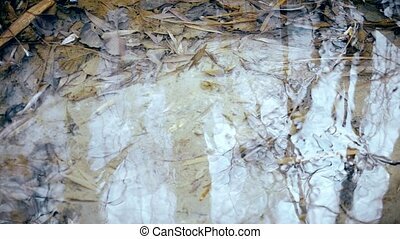 Thaw. 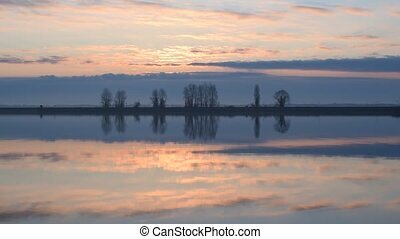 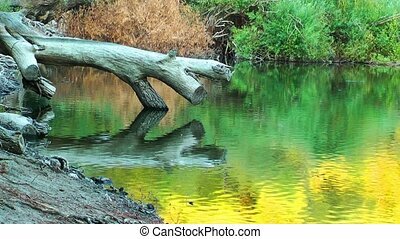 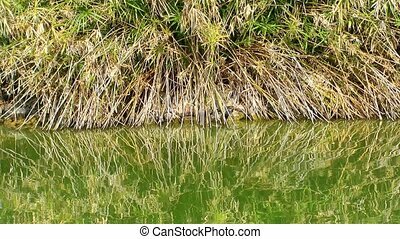 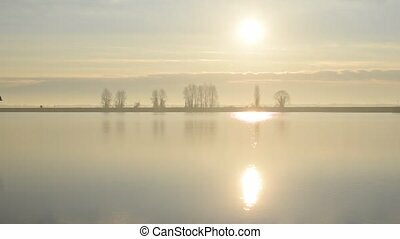 Reflections of leafless trees and bushes flicker in water. 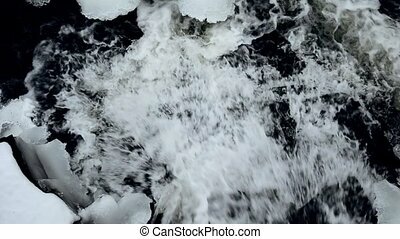 Nature wakes up from winter sleep. 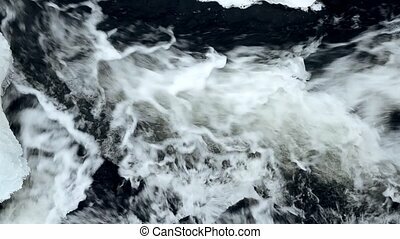 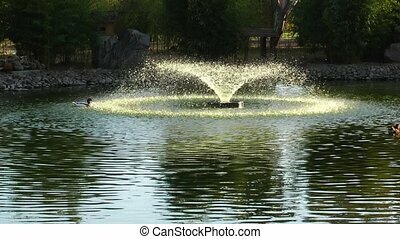 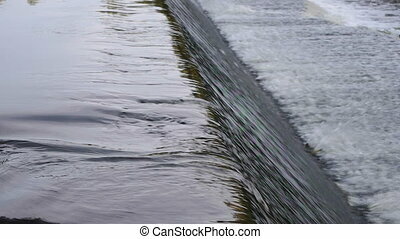 Flickering water surface stirred by flow and wind producing wavelets. 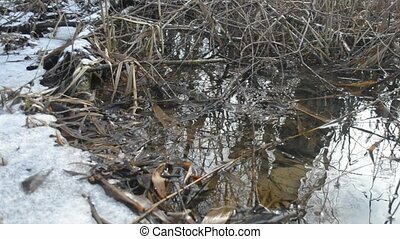 Water flows in brook or pond in forest with melting ice and snow and in spring and old leaves and twigs on the bottom and with green sprouts. 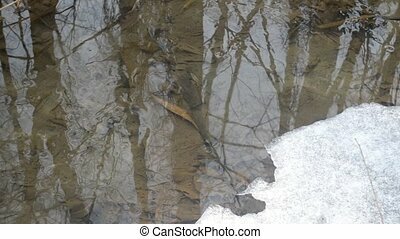 Thaw. 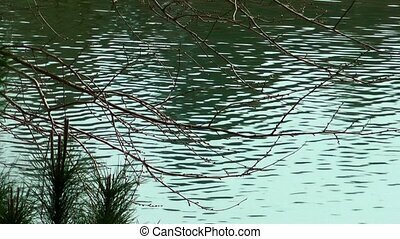 Reflections of leafless trees and bushes flicker in water. 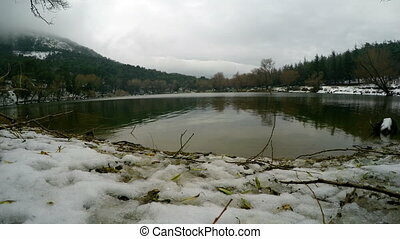 Nature wakes up from winter sleep. 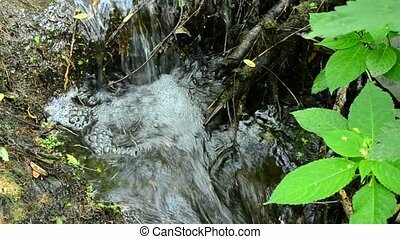 Small waterfall in tiny river with flowing clear water and vibrant lush green grass and vegetation in spring or summer. 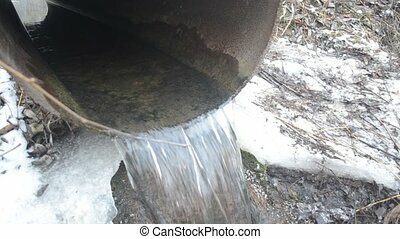 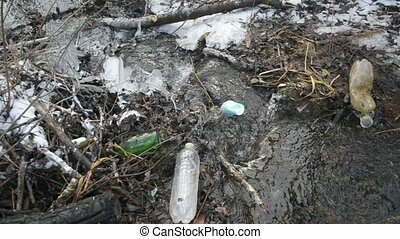 Natural wintry waterscape of water flowing in winter from big old rusted iron pipe to brook polluted with household plastic and other garbage surrounded with ice and snow in a frosty overcast weather. 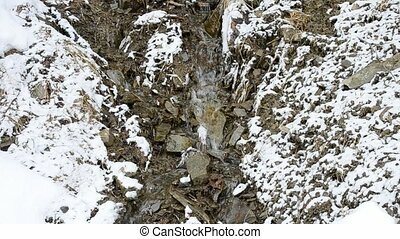 Small mountain brook flowing on stony snow covered soil in winter.